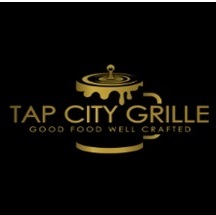 Welcome to Tap City Grille! Tap City Grille is a Craft Beer bar with Gastropub roots. A Craft Beer bar is a bar dedicated to small, independent breweries that put out seasonal and small batches of beer that showcase their individual talents. Due to the smaller production of the beer, the freshness is at its all-time highest. Here at Tap City Grille we keep 6 of the larger Craft Beers on tap on a regular basis. The other taps are used for seasonal and small releases from other craft breweries. What is a true Pub? In English history, a pub was the extension of the wealthiest villager’s house. This lucky man or woman was appointed this job due to the fact that the other houses in the village were too small to host a larger amount of people. The hosts would open their house to the village, server drinks and food. Therefore a pub is an extension of our house. What is a Gastropub? Up until the mid-1980’s pubs in England did not serve any food. That quickly changed and the regular pubs that started serving food turned over into Gastropubs. Tap City Grille has the best of both worlds! We have craft beer, fresh cocktails, even craft sodas! We are all a team here at Tap City Grille! Welcome aboard!